Our Ultimate List Of eCommerce CRO Tips Is Out - Grab Your Free eBook! With the boom of the eCommerce industry and a number of out-of-the-box solutions, there are plenty of eCommerce entrepreneurs who are trying to make it big. And the sobering reality is that you are competing against every other online store out there, including Amazon, eBay, ETSY, etc. So, how can you succeed? How can you stand out and be different? 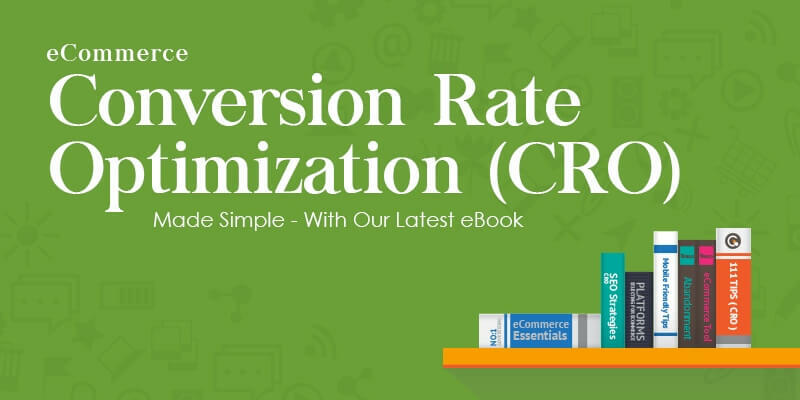 Simple: Read our 111 eCommerce Conversion Rate Optimization (CRO) Tips eBook! Our newest eBook will help you increase your conversions and revenue. The eBook discusses, in depth, how to tackle all your eCommerce conversion problems and then understand which are relevant for you. Where Does eCommerce Conversion Rate Optimization Start? It starts from your eCommerce website design and goes until your after-sales support. Learn how small changes to the design can have a big impact on your conversion rates. What Will Our eBook Teach You? Our eCommerce conversion guide not only helps you convert your website traffic, but also increase your customer retention. The fact is that, only when you have loyal customers, will you have a successful eCommerce business. The plain truth is that even if you spend thousands of dollars in marketing, you can only get customers to visit your site – You can’t force them to buy from you. The ONLY (I can’t emphasize enough on the ‘only part’) way to increase sales is through proper eCommerce conversion rate optimization techniques. At The Commerce Shop, our Magento developers and Magento CRO Team work with customers every day to improve their conversion rates. We understand CRO and the impact it has on their revenue. Most of our tips are simple and can be easily implemented without the help of a developer. Help Me Improve My eCommerce Conversion Now!